(MoneyWatch) Getting seen, heard, and celebrated in the news is something many sales professionals want. Getting compensated as a result of media visibility is even better. "Make visibility a priority," says publicity expert Nancy Juetten, who trains salespeople on how to attract media attention. "Assign importance and weekly action to earning ongoing, consistent, and favorable visibility for the business. Learn and practice nuts-and-bolts lessons about preparing and sharing timely, newsworthy, and compelling stories via traditional, social, and other media to reputation and client-attracting advantage." Juetten, founder of Authenticvisibility.com, has communicated with thousands of business owners through webinars, tele-seminars, media interviews, and articles on CNN Radio, Fox Business, National Public Radio, and elsewhere. Here are her proven tips for aspiring experts, authors, and self-employed business owners who want to step into the media spotlight to build their credibility and their businesses. Don't get caught with your pants down. Create a compelling biography, website, and/or blog that showcases your credentials, the "wow" you deliver, and why it matters so that it is ready to share with the media, meeting planners, and potential clients at a moment's notice. "Website under construction" is not a message that makes a favorable or credible first impression. Boring headlines never deliver the goods. Write informative and compelling headlines and email subject lines for press releases, story pitches, and query replies. "Story pitch for your consideration" isn't nearly as interesting as "Is your purse making you sick?" Pitch articles and ideas the media can't resist. 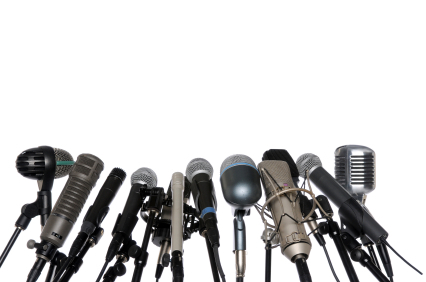 Respond to media queries that are available on free services such as Help a Reporter, PitchRate, and Reporter Connection. Share points of view about topical stories and trends. Establish your credibility, be concise and compelling, and share contact information to invite follow-up conversations. Successful experts demonstrate their expertise and add value to the conversation without being "sales-y." "Spray and pray" rarely covers the right ground. Before sharing your news over a paid or free wire service because you think it is easier or more time-efficient, first identify the media that are right for your message and serve up customized story pitches for each. For example, TV requires compelling visuals. Weekly business journals want deeper stories than are typically found in the daily paper. Columnists and community newspapers appreciate human interest angles. Bloggers value how-to tips and provocative points of view. By taking more time with the approach at the start, the outcomes can be much better in terms of the ink, air, and lead generation earned in the end. Make follow up an essential practice. Reporters, editors, bloggers, and others in influential positions to deliver your news across a much wider audience are busy. Many may be wading through hundreds of emails each day to find those that are actionable. If you want to be seen, heard, and celebrated within the media they touch, want it enough to follow up and ask for what you want. Build relationships and earn repeat opportunities. Be of service to the reporters, meeting planners, and bloggers, along with social-media friends, fans, and followers, who take interest in your expertise. Respect deadlines, deliver on promises, speak the truth, be quotable and memorable, and offer additional sources to make stories in progress as strong as possible. Overall, Juetten advises leveraging good news. "Share favorable coverage and award wins in blog posts, article reprints, ezine messages, and in an online press room at your website or blog so it lives on to fan the flames of your credibility and prosperity," she says.